In 1997 when I started Infinity Softworks, I actually intended to write a personal money tracking application, the first of a suite of finance applications that would include investment tracking, expense tracking and more. 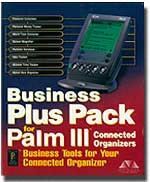 Palm OS in those days, though, was hard to work with and I was very inexperienced in the ways of event-based software and record storage. I became very frustrated very quickly and started looking for another project to work on that would be easier to implement and decided to write a financial calculator. I could use the simple storage mechanism (preferences) instead of a database and could focus on understanding event-based programming specifically and Palm OS in general. It took a while and a number of things happened to slow me down, but eventually I completed the app and started thinking about selling it. To you youngsters you may not realize this but once upon a time how we sold apps was less clear cut. There wasn’t just an app store to upload it to and be done. We could package our own apps on floppy disc or CD selling them directly, we could build and sell off our own websites, we could find a partner to take us into retail, we could sell through a few online locations. We did the obvious stuff, creating a site, uploading to various online resellers, and setting up an 800 number to take orders and mail those out . Retail, though, had the most potential in those days. There were two retail channels we considered: physical stores (like CompUSA and Office Depot) and catalog stores (like MacMall) . There were huge risks and huge rewards but just like the app stores now, every retail outlet was clamoring for things to sell next to those hot selling PalmPilots. We had no money to do it, though, and it took a lot of money. Lucky for me, my business partner at the time grew up in Silicon Valley and his dad sold software for large companies. 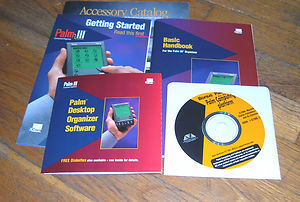 He agreed to help us with our first deal and found that Macmillan Digital Publishing was doing Palm shareware packs and selling them through retail stores. Instead of us building our own retail presence, he helped us get our first deal — one of seven apps in the PalmPilot Business Pack. At the time we only had one app, an app that came to be known as FCPlus Professional, a full-featured entry-level financial calculator. I fretted over including the entire application in the Business Plus Pack as it was our only potential source of revenue at the time and, after six months of working on it, I hadn’t made a penny yet. “You may need a sacrificial lamb,” my partner’s dad told us. I remember having no clue what he meant so he explained it to us. We may need to consider a version of our app that we could use for promotional purposes. We’d give the app away for free (or make little money off it) with the hope of selling other complementary products. He also thought the potential was there to sell the app to a third-party outright, and then use those proceeds to build other things we wanted to do. So instead of bundling FCPlus Professional, we designed a slightly lesser version called FCPlus and bundled it with Macmillan’s packs. It was a fully working financial calculator, just with less features than the Pro version. We didn’t make that version available for purchase directly from us or anyone else at the time, but we did offer half-price upgrades to those who had it. Six months after we launched FCPlus with Macmillan, Palm came calling. They were going to put together an add-on pack of software and bundle it with every device. There were two available financial calculators on the market, ours and a competitor. They wanted ours but if we didn’t agree to give it to them (yes, give) they would go to the competitor. We were backed into a corner. Fast forward 15 years and Infinity Softworks as a company is in a massive transition. Over the next few months we will release a version of powerOne calculator that looks and feels right on iOS 7, re-designed and developed from the ground up, and a new application that we think is our future, an app that is the culmination of 16 years of learning about how people work with numbers and how we can improve that process. We didn’t sell electronically off our site, though. In the early days we couldn’t get online credit card processing so the website form came to us via email and then we entered the card manually into the machine in a closet. Very secure! Almost all of those retail stores are gone now, and the ones that remain don’t sell much software anyway. Although it wasn’t known by that term for almost another decade. This entry was posted in Infinity Softworks, Success Factors. Bookmark the permalink.